The first European that ever visited the International Space Station, Italian astrophysicist Umberto Guidoni, once stated that “I was, I remember, I still remember when the first time I pointed the telescope at the sky and I saw Saturn with the rings. It was a beautiful image.” Observing the skies with the help of a telescope can be a perspective-changing experience with more benefits than you could ever imagine. Learn more about how to use a telescope below and gather all of the information you need to make your experience completely unforgettable. Some of the most significant contributors to the development of the telescope are Galileo Galilei, Johannes Kepler or Isaac Newton, just to name a few. Galileo is credited as the first man to use a telescope for observing the skies. Space.com informs us that “he was able to make out mountains and craters on the moon, as well as a ribbon of diffuse light arching across the sky – the Milky Way. He also discovered the sun had sunspots, and Jupiter had its own set of moons”. Nowadays, telescopes come in so many shapes and sizes that the variety available truly is overwhelming. We will continue by pointing out the benefits of using a telescope, what parts one is made of and the types of telescopes and eyepieces available, continuing with answering your “how do you use a telescope?” question. We really can’t stress enough how much of a privilege and pleasure it is to own and use a telescope. This complex instrument offers a unique visual and life experience that you can’t get anywhere else. Even on an unprofessional level, observing the skies can become your new favorite hobby. Still apprehensive regarding your decision? Here are just a few of the countless benefits that using a telescope has in store for you, which will help you understand why and how is a telescope used. If you admire the natural wonders of the world, a telescope is definitely for you. It offers an irreplaceable opportunity to observe the skies, stars, planets and the most beautiful corners of the near universe. The fragments that you will see will not only take your breath away, but they will also inspire you to learn more about space and its intriguing contents. Instead of wasting your days away surfing the internet or watching TV shows, you can use your free time to learn something new with the help of a telescope. It is impossible to not discover new information by taking the time to observe the skies, and every piece of “news” will offer your mind and soul great satisfaction. Children love discovering the skies with telescopes. This serves as an excellent family activity for both parents and kids, as everyone in the family is bound to learn something new. It is a wonderful way of spending quality time with your children and inspiring them to reach for the stars (literally). By staying far away from unhealthy activities and deciding to observe planets instead, you will be doing your body a world of good. Not only does using a telescope involve going to certain areas where you can observe in the best conditions, but it will also help you steer clear of junk food and being a couch potato. If you want to take your astronomer skills to the next level, you can take up astrophotography, a brilliant form of photography that captures celestial bodies. We will get into more details about astrophotography in the final part of this article, for those interested in starting this hobby. Before we get into detail about how to use each kind of these telescopes, we will offer you more information about the parts of a telescope and the kinds of telescope eyepieces available. The parts of a telescope vary, depending on what type of telescope you are interested in. Refracting telescopes, for example, mainly come with the following parts: aperture, focuser, finder scope, eyepiece, optical tube and mount. If we were to get into details, refracting telescopes also contain dew shields, cradles, eyepiece holders, star diagonals, focusing knobs, declination setting scales, azimuth clamps, altitude clamps, right ascension setting scales, forks, altitude fine adjustments, azimuth fine adjustments, counterweights, tripods and tripod accessories shelves. Reflecting telescopes, on the other hand, are a lot easier to handle and are favorites for amateur astronomers. They basically come with a flat mirror, a parabolic mirror and a convex lens at the eyepiece, as NASA explains on their official website. In the end, “Today’s reflectors are beyond anything Newton could have dreamed of, but their parts are the same he designed centuries ago—a primary mirror and a secondary mirror to redirect the light” (BrightHub.com). Just like lenses in the field of photography, telescope eyepieces are highly diverse, fit for every kind of needs and wallets. Individuals who want to have a truly unique observing experience can opt for certain eyepieces, in addition to the plain one that came with their telescope. It is said that a high quality eyepiece can make you feel like you have a brand new telescope altogether. Telescope eyepieces vary, depending on a series of factors. First of all, the focal length and magnification of your eyepiece is an aspect you should take into consideration. To see what magnification your telescope has, all you have to do is divide the focal length of your telescope by the focal length of your eyepiece. The result will by the power your telescope has of magnifying. Moreover, telescope eyepieces come in various sizes. Most of the ones on the market have a 1 ¼ inch diameter, but they can reach a 2 inch diameter, depending on the model. When it comes to types of eyepieces, you can come across a large number of names, from Erfle or Kellner to Ultrawide or Lanthanum. Like we said before, telescope eyepieces can go from accessible to expensive, depending on what budget and requirements you have. If you truly want to make the most out of your telescope and what it can offer, you should consider a few aspects beforehand. Above all, one of the decisive factors regarding visibility is the light pollution in your area. For example, if the region you live in is rainy and you want to observe the skies when it’s dark, you should look into refractors. After that, decide on the main purpose for using your telescope. Do you want to know how to use my telescope for bird watching? How are telescopes used for star gazing or observing planets? Once you have your purpose established, you will know if the telescope you need to reach your objective requires higher or lower power. For instance, for galaxy observation, you will require a large reflecting telescope with a larger aperture than a normal one. You also have to analyze what power your telescope has, or how bright or clear your observation will be. One of the most important pieces of a telescope is the finder scope, which can usually be found on the side. Furthermore, understand the difference between altazimuth and equatorial mounts. The easy version is the altazimuth, which allows you to move the telescope left, right, up and down. An equatorial mount, on the other hand, works by East to West and North to South and implies alignment to the North Star to work. You should always make sure that you set your telescope on a flat surface, with all three feet of the tripod firmly placed on the ground or on a leveled surface. If you are not careful, your telescope will fall down. So you have purchased a brand new telescope; the first question that will pop into your mind is “how do I use my telescope?” Before you even begin using your new tool, experts recommend that you take great caution in assembling your telescope and making sure that you have set it up right. One of the basic tips for beginners is getting used to their telescope by observing during the day. We know that the main source of excitement is watching the night skies, but almost all specialists will encourage you to work when light is outside until you can understand and get comfortable with your telescope. Another telescope how to use tip for starters is to never observe the sun directly. Many products come with so-called “solar filters” for doing so, but you should never use one. Looking at the sun can potentially lead to a cracked glass and, even worse, complete blindness. Author Joe Rao explains in an article for Space.com that “If you do wish to observe the sun, the only way to go is to project its enlarged image onto a white card or screen.” What you can observe easily, as a beginner astronomer, is the spectacular moon. Start from there and work your way up to stars, planets, galaxies and more. Now that we have the basics covered, let’s get down to how to use reflector telescope. You should always have your manual of instructions at hand, as these guidelines can vary, depending on the telescope. Like we said above, you need to locate the finder scope; this will help you in adjusting the telescope before getting to use it for observation. If you want to go star gazing, you should be as familiar as you can with star charts beforehand. You can take them with you when you go out for observing, but the experience won’t be as beneficial. It is best that you find an area that is super dark (the darker, the better), and that does not have any visual obstacles (such as large trees). To align your telescope, first point it at the moon using the eyepiece that has the smallest power of magnifying. If your image is blurry, you have to work with the finder scope to make adjustments. If you want to focus upon a certain celestial body, all you have to do is lock your telescope, remove the eyepiece and place a more powerful one onto it. One of the coolest parts about reflecting telescopes is that you can make one yourself. Search for DIY tutorials online and get creative with the instrument you want to discover the skies with. We will continue with tips on how to use refractor telescope. As you have learned in the section above, this kind of telescope is different from reflectors as it refracts light. A few advantages of refracting telescopes are that they offer higher quality images, they are of superior resistance and they require less maintenance. To properly observe with a refractor, you will need a low power eyepiece and a high power eyepiece, as well as the attached finder scope and a tripod. Like in the case of reflecting telescopes, it is best to find a very dark area, with as little light as possible. After mounting your refractor telescope on a leveled surface, choose a bright celestial body to observe, such as a large star. To adjust the direction of your refractor, all you have to do is move the tube up and down or left and right. If you want to observe the celestial body from a distance, you can use a lower power eyepiece (75 X magnification or lower); if you want to see it closer up, we recommend that you use a high power eyepiece (from 75 X magnification and higher). If you are not quite sure what magnification your refractor telescope has, all you have to do is take the focal length of the telescope and divide it by the focal length of the eyepiece to see how close up you can get. When choosing your eyepiece, you should always begin with the lowest power one, calculating your magnification power with the equation we provided above. A Bushnell telescope comes with a Barlow lens, which will be able to double the power of your telescope, even tripling it. For focusing, you must turn the Rack and Pinion Focusing Mechanism, thereby gently retracting the focusing tube. You should also make sure to align your finder scope by using the adjustment screws, until the red dot of the finder scope and the main tube are centered on the same celestial body. Learning how to use Tasco telescope might be easier than you initially thought. You will need to start off by assembling all of the parts that your Tasco telescope comes with: yoke mount, focus knob, focus tube, diagonal, eyepiece, finderscope bracket, finderscope, telescope main body, sun shade, objective lens, dust cap, yoke locking knob, azimuth lock, tripod legs and their adjusting clamps and, finally, the accessory tray. 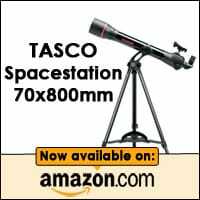 Upon purchasing the product you will receive a Tasco telescope how to use instruction’s manual, but you can also find the manual online, on the manufacturer’s website. To proceed, you will need to use the finder scope to target the celestial body you want to observe with your telescope. Make sure that the object you want to detect is at least 1,000 yards away and center the image. Once you have established your target, lock all knobs that are on the mount to maintain your telescope’s position. To find various other objects, you will have to loosen the altitude locks and the azimuth lock (located at the base of the altazimuth mount). After that, you can move the telescope in the direction you want to. Use the focus knob to sharpen your images. Celestron is known for manufacturing not only telescopes, but also products like sport optics (such as binoculars) or microscopes. 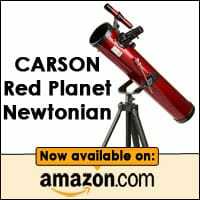 If you want to know how to use Celestron telescopes, here is some advice that can help you out. 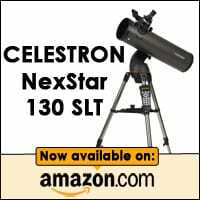 The specific instructions depend on what kind of Celestron telescope model you have, like Computerized, Schmidt-Cassegrain, Firstscope, Newtonian, EdgeHD or Refractor, but these are a few guidelines that generally work well with Celestron products. First thing’s first: eyepiece installation. We suggest that you start off with an eyepiece that has lower power, especially if you are just planning to target your object. On the outer part of the focuser you will see a few thumb screws; you will have to unscrew them to assemble the eyepiece and then screw them back in. Once you have your telescope all prepared, decide its direction by loosening the lock nut and tightening it back up once you have established your target. To focus your Celestron telescope, use the knob that is placed in the area below your eyepiece. Clockwise is for focusing farther away, counterclockwise is for objects that are nearer. If you want a boost of magnification, you will need to change your eyepiece. After that, find your field of view and enjoy observing. Meade is among the most sought-after brands for telescopes in the United States. Learning how to use Meade telescopes is quite simple, you will soon see with the Meade telescopes how to use tips we have prepared for you. 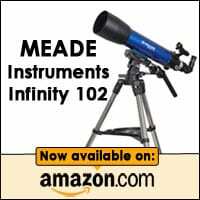 They have a large selection of products to choose from, so this brief “How to use Meade telescopes” guide might vary a bit from model to model (we have chosen the LX80 as an example for instructions). 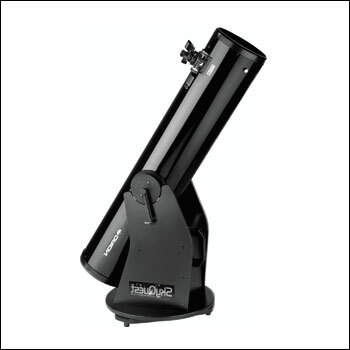 Once you have assembled and balanced your LX80 Meade telescope, you can begin observing the skies manually. The manufacturers encourage you to start off with simpler objects on Earth, like signs on the street, so you can get used to operating the telescope. If you want to locate a particular object for observation, you have to start off by loosening the DEC and RA locks on the telescope so it can move freely. Each axis must be individually unlocked so you can move it around. This way, you can get used to the way that your Meade telescope moves (as it has an equatorial mount). After you have centered an object in the crosshairs of the viewfinder, you can retighten the locks you have previously loosened to keep the position. Use the knobs on the focusing mechanism to obtain a clear, sharp image. Named after the renowned physicist, philosopher, engineer and astronomer Galileo Galilei, the Galileo telescope is one of the easiest types of telescopes to use (and therefore is recommended for beginners). Even though its field of viewing is not as generous as with other telescopes, learning how to use Galileo telescope is a piece of cake. To begin, take your telescope and place it on a stationary, sturdy mount. Make sure that the lens of your Galileo telescope is not damaged in any way, otherwise you will not be able to enjoy your observing experience. To focus on a certain object, you have the pull and push the tube, either in or out. To maintain your position, use duct tape to secure the telescope. Galileo telescope customers recommend that you choose a clear, cloudless night when going out to observe the skies. Also, you should try to find the darkest area possible, as any kind of lights will affect your experience. Many people choose to go out in the wilderness to benefit from the best conditions for observing. 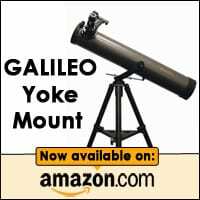 As you have noticed, the Galileo telescope is an excellent choice for those who have not experimented with astronomy before. Possibly the most common inquiry regarding how to use a Newtonian reflector telescope is particularly how you can align one. Scientifically known as “collimation”, alignment is critical for having a clean, clear and worthwhile observing experience. Unfortunately, Newtonian telescopes require frequent collimation, but once you have it aligned the results will completely be worth it. If you follow the correct steps, it can take only a few minutes to prepare your tool for star gazing. To understand the process, you should know the optical parts of your Newtonian telescope: the primary mirror, the primary mirror cell, the secondary mirror, the secondary mirror holder, spider, eyepiece and focal plane. The three main steps to collimate your Newtonian, as explained by SkyandTelescope.com, are: 1. Centering the secondary mirror, on the axis of the focuser drawtube. 2. Targeting the eyepiece at the middle of the primary mirror. 3. Centering the spot of your primary mirror in the field of view of the eyepiece. In order to test your collimation, Sky and Telescope suggests that you “Find the location of the collimated field — the part of the focal plane where the out-of-focus star is symmetric — and adjust the primary mirror’s collimation to bring the collimated field into the center of your eyepiece’s field of view.” Now you’re good to go! 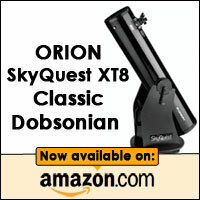 Known for its large size, the Dobsonian telescope is a type of Newtonian telescope with an altazimuth mount. 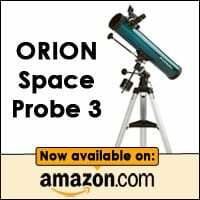 It is a fine model for both amateur and professional astronomers and it is especially preferred by beginners for its sweet and simple mechanism. Dobsonian telescopes usually come in diameters between 8 and 16 inches, but they can range from 6 inch to 30 inch diameters. They can be a lot more accessible than refracting telescopes, as the mirrors used for Dobsonian telescopes are less expensive than the lenses used for refractors. The main advantage is that the inventor, John Dobson, designed the telescope with a “basic manual mount which supports the optical tube and can be manually moved by hand in the Altitude (up/down) and Azimuth (left/right) axis” (UniverseToday.com). This easy mounting is one of the reasons why the Dobsoian telescope is so embraced by astronomers of all levels. You have to play around with aiming, pointing and picking objects to observe by using the finder and eyepiece at the same time. 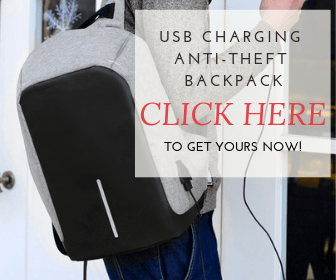 Like many other manufacturing companies, Orion also offers a wide range of models to choose from and, subsequently, the instructions might differ a bit depending on the product. 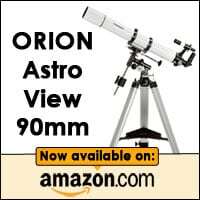 For instance, if you have an Orion EZ Finder II Telescope Reflex Sight, you can align it with your telescope to boost aiming and pointing at the objects of your choice. The mechanism works by projecting a red dot on a see-through window, which shows you where the telescope is pointed. You have to look into a low power eyepiece and aim your telescope at a distant, static object. Once you have chosen the object, center it in the middle of the eyepiece’s field of view. After that, keep the telescope in place and look through the reflex sight. Turn on the red dot and compare the two positions. To make the targets overlap, you need to adjust the altitude knob (up and down) and the azimuth knob (left and right). You have to work with the knobs until the object is also centered in your reflex sight; once you achieve this, your reflex sight is aligned with your telescope. Whether your questions are “how to use astronomical telescope” or “how to use telescope to see planets”, you should know that the guidelines are the same as ones that apply for the majority of telescopes. Basically, you will need to be careful regarding the weather conditions (the cloudier it is, the more difficult or impossible it will be to spot out stars or planets), the location you are planning to observe from (preferably far away from the city, without large obstacles to block your viewing field), the lighting conditions (the darker the night sky is and away from city lights, the better you will be able to observe celestial bodies) and the specific assembly, mounting and focusing instructions for the model of your telescope. Once you become a bit familiar with the world of astronomy, you will have heard of the term “Barlow lens” at least once. 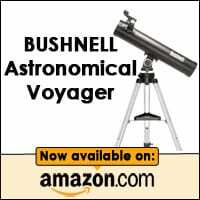 It is a highly practical accessory that is recommended for all individuals who want an enhanced observing experienced. The Barlow lens was named after Peter Barlow, the writer who invented the tool. To make it short, Telescopes.com defines a Barlow lens as a “concave lens that when placed between a telescopes objective lens or mirror and the eyepiece, will increase the magnification of the telescope.” Therefore, a Barlow lens does not take the place of an eyepiece, but it is rather used to boost the impact of an eyepiece. Many astronomers choose on purchasing Barlow lenses instead of new eyepieces all the time, as it can double your magnification at a convenient price. 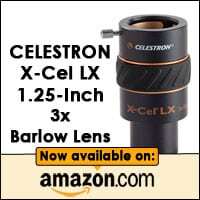 All you have to do is make sure that the barrel size of the Barlow lens you are about to buy is compatible with the current eyepiece of your telescope. To assemble the Barlow lens, all you have to do is drop it in your focuser and then connect your eyepiece directly to your tool. 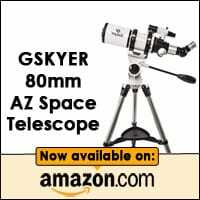 Why should I buy a telescope instead of binoculars? We hope that the answer is quite obvious, but we want to clear up the situation for everybody all the same. The magnifying and observing power that telescopes have are nothing compared to the limited viewing field of binoculars. For closer, terrestrial objects, binoculars work well (such as bird watching). If you really want a unique sensation of seeing the planets, stars and galaxies closer to you, a telescope is worth the entire investment. Is it easier to use a reflecting telescope or a refracting telescope? Which one is better? It depends on your expectations, budget and requirements. For example, a refracting telescope will be a lot more expensive than a reflecting one (a few thousand dollars), but if you want to observe planets it is a fine choice. 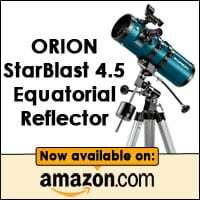 A reflecting telescope is great for individuals on a budget that still want to enjoy fantastic quality. The main difference is that refractors use lenses, while reflectors use mirrors. What can I see through my telescope? Basically you will be able to observe all of the planets, besides Pluto. Astronomy Today describes your observing opportunities as: “You will be able to see the bands and Red Spot on Jupiter and the rings around Saturn. You may be able to see the ice caps on Mars when its orbit is closer to Earth. Venus and Mercury will show phases but not much else.” Another amazing objects you can observe are comets and galaxies, but not exactly at NASA quality, of course. If you have “graduated” from a beginner astronomer to an intermediate astronomer, you might be asking yourself “how do I use a telescope for astrophotography?”. This is the case with most astronomers as they gain experience, so here are a few guidelines that might help you get started. Experts on celestial photography use the term “guiding” to describe an essential part of the process. Mark J. Coco from Sky and Telephone unveils the reason why astrophotographers should guide: “To get a sharp image from a long exposure, you must keep a guidestar centered on cross hairs for the entire time the shutter is open — from a few minutes to an hour or more”. To get it right, make sure that you align the right ascension axis so that it is parallel to the axis of rotation of the Earth (also known as polar align), so you can avoid field rotation. Search for detailed guides and tutorials for making the most of astrophotography and you will end up with some highly impressive deep sky pictures! The reason why all reliable telescope manufacturers and resources strictly say that you should never point your telescope at the sun might well be connected to Galileo Galilei himself. The first man that pointed a telescope to the sky also targeted the sun and was blinded later on in life. One of the strangest telescopes, as pointed out by Discover magazine, was used by “physicist Raymond Davis Jr. (who) used 100,000 gallons of dry-cleaning fluid to detect invisible neutrino particles as they stream from the sun”. This action resulted in Davis winning the Nobel Prize in Physics in 2002. In 1990, when the Hubble Space Telescope was launched, NASA was over their project budget by two billion dollars and seven years past their initial deadline. The full budget regarding the Hubble Space Telescope project is believed to be around ten billion dollars; at the same time, it has offered the deepest pictures of the universe that have ever been recorded. The Hubble Space Telescope itself was named after Edwin Hubble, a prolific astronomer of American origin “whose observations helped broaden scientists’ view of the universe to include galaxies other than our own”, according to History.com. For 70 years, the largest telescope in the world was the “Leviathan of Parsonstown”, located in Ireland. The telescope was built in 1845 by the Earl of Rosse and weighed in at a whopping 40 tons. Black holes were discovered when X-ray telescopes were used by scientists to observe space.